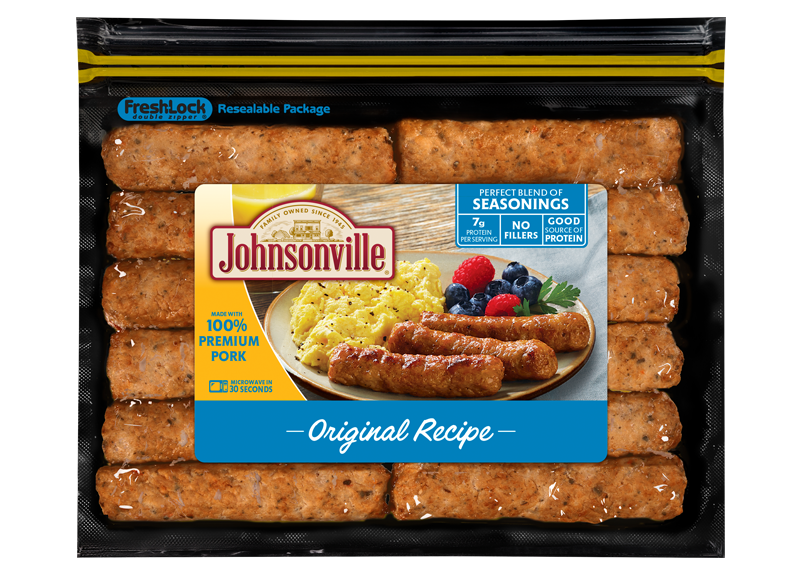 Starting in November, there will be a new look in the grocery store meat section, as Johnsonville introduces a new logo across its entire sausage product line. Ryan Pociask, who leads the company’s marketing team, said the logo evolution is not about communicating any major change with the company or product; but rather to better communicate what the brand has always stood for: A family-owned company that started as a small-town butcher shop in 1945 in the town of Johnsonville, Wis.
What didn’t change in the logo evolution? The maroon-color equity in the current logo, the yellow-colored tray used to package its fresh dinner and breakfast sausages, and a delicious food shot on every label. While the product formulations have not changed, Johnsonville is communicating more ingredient benefits that consumers have interest in, such as the products that contain no nitrates or nitrites, MSG, artificial colors and flavors, and fillers. As an independent, family-owned company, Johnsonville and its 1,600 “members” have grown the company from the single-room butcher shop that got its start making bratwurst and summer sausage. 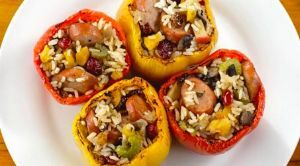 Today, the company produces 70+ different varieties – from dinner and breakfast sausage, to fully cooked meatballs and chicken sausage – and sells to consumers and foodservice customers in more than 40 countries.